Richard A. Villa is President of Bayridge Consortium, Inc. His primary field of expertise is the development of administrative and instructional support systems for educating all students within general education settings. Villa is recognized as an educational leader who motivates and works collaboratively with others to implement current and emerging exemplary educational practices. He has been a classroom teacher, special education administrator, pupil personnel services director, and director of instructional services, and has authored 19 books and more than 120 articles and chapters. Additional information about Villa can be found on his website. 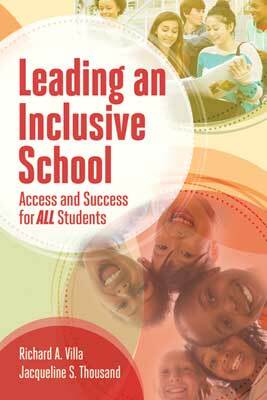 Ensure that your school provides the federally guaranteed "least restrictive environment" for students no matter the severity of the challenges they face with this research-based guide from authors Richard A. Villa and Jacqueline S. Thousand.